Definition: Decrease of visual acuity due to a non-traumatic cause. Transient vision loss defined as vision loss <24 hours. Persistent vision loss defined as loss of vision >24 hours. (Bagheri 2015). 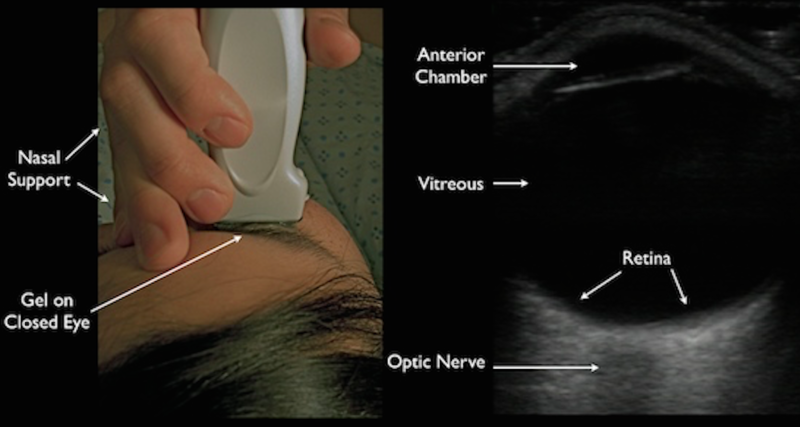 Pathophysiology Increase in IOP; Exact etiology unclear, but has a normal appearing anterior chamber angle and raised intraocular pressure (IOP). 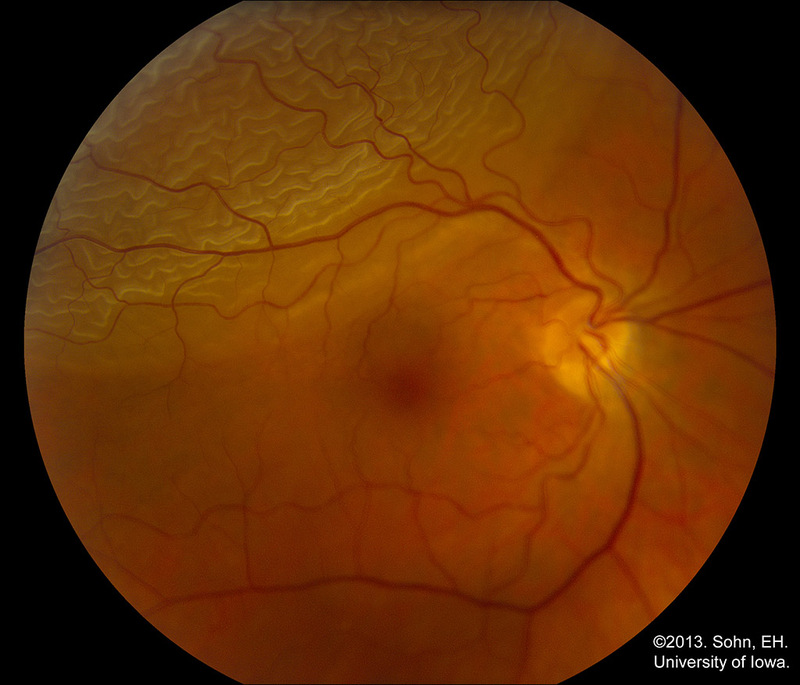 Asymptomatic until late in disease after vision loss occurs. 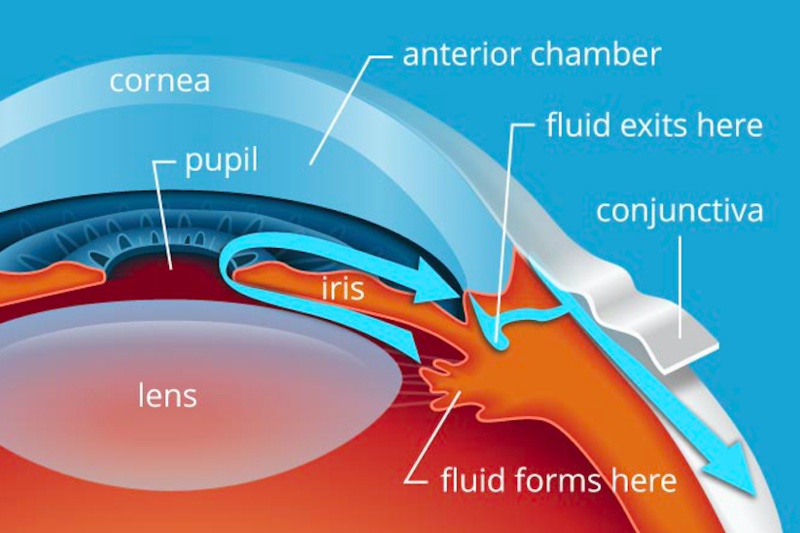 Most common type of glaucoma Occurs with obstruction to aqueous outflow, usually from the iris. Most common cause: pupillary block. Symptoms Generally painless, asymptomatic. 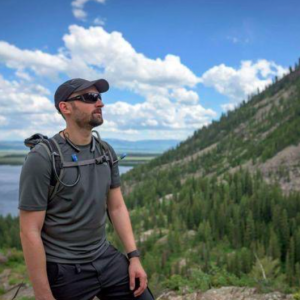 May have blurred vision or decreased visual acuity. Painful vision loss, classically when going into a dark room. Other symptoms include halos around lights, nausea and vomiting. Acetazolamide Carbonic anhydrase inhibitor 500 mg IV/PO Reduces production of aqueous humor (CA makes bicarb, which is a major component of the aqueous humor) Topical form has minimal systemic adverse effects; oral form may be associated with paresthesia, nausea, diarrhea, loss of appetite and taste, lassitude, or renal stones. Caution in sickle cell patients. Pro Tip: Can decrease systemic absorption of topical drops by putting pressure over medial surface of eye (over lacrimal duct) while placing drops. Giant cell arteritis(GCA) affects that medium-sized and large arteries. Abnormal temporal artery and neck pain, myalgia, malaise and anemia. Eye itself is usually painless. 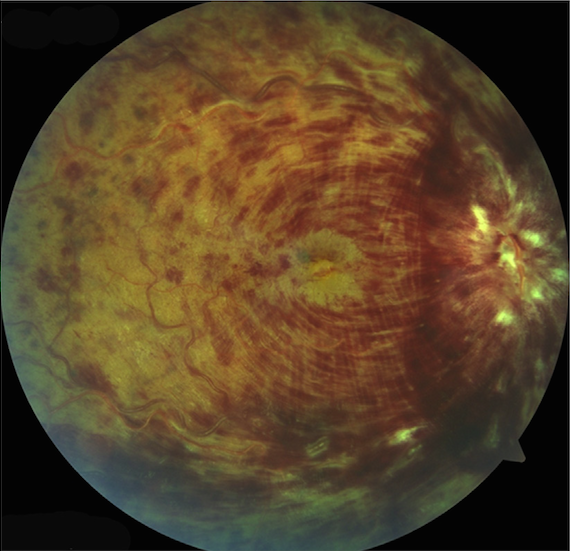 Decreased visual acuity common, but normal visual acuity does not rule out disease. Typically will see marked elevation. Definition: Separation between the posterior vitreous cortex and the internal limiting membrane (ILM) of the retina (which is the most external portion of the retina). Many older individuals have essentially asymptomatic vitreous detachments. 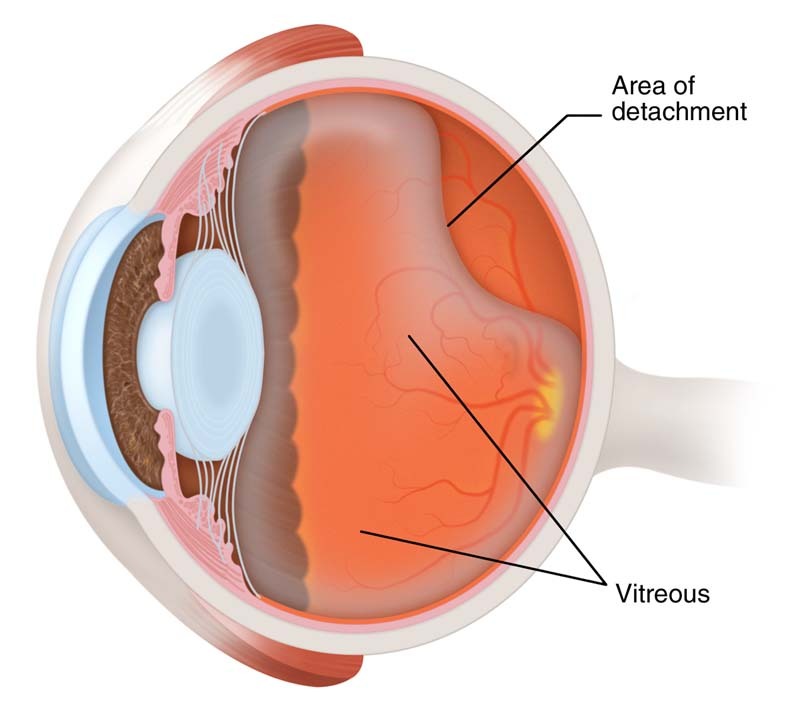 Often occurs as the vitreous shrinks with increasing age, pulling away from the retina. May have decreased visual acuity. 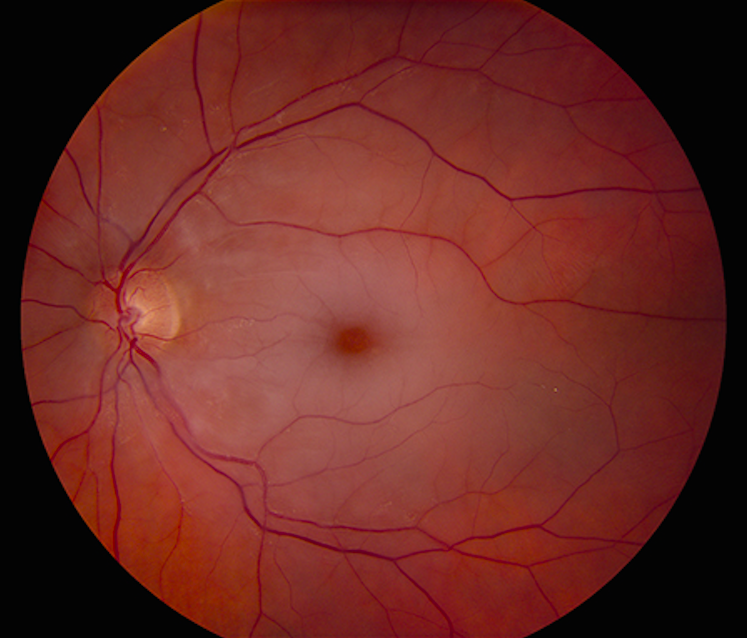 Posterior vitreous shrinks with advancing age (aka synchysis senilis), pulling on the retina. 14% of pts referred to ophthalmology with flashers/floaters end up having retinal tears. Photopsia is from vitreoretinal traction, floaters are from vitreous cells/blood in the eye. Any flashers/floaters: (+) LR 1.2 and (–) LR 0.9. 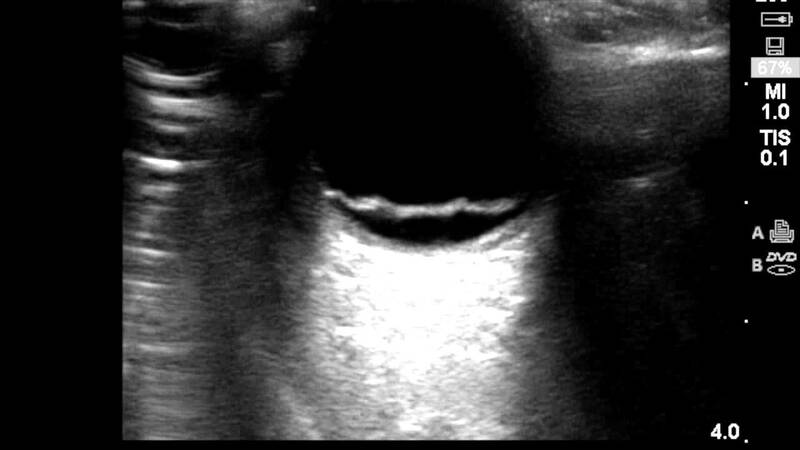 Floaters – CRVO can cause neovascularization which causes leaky vessels leading to debris in vitreous. 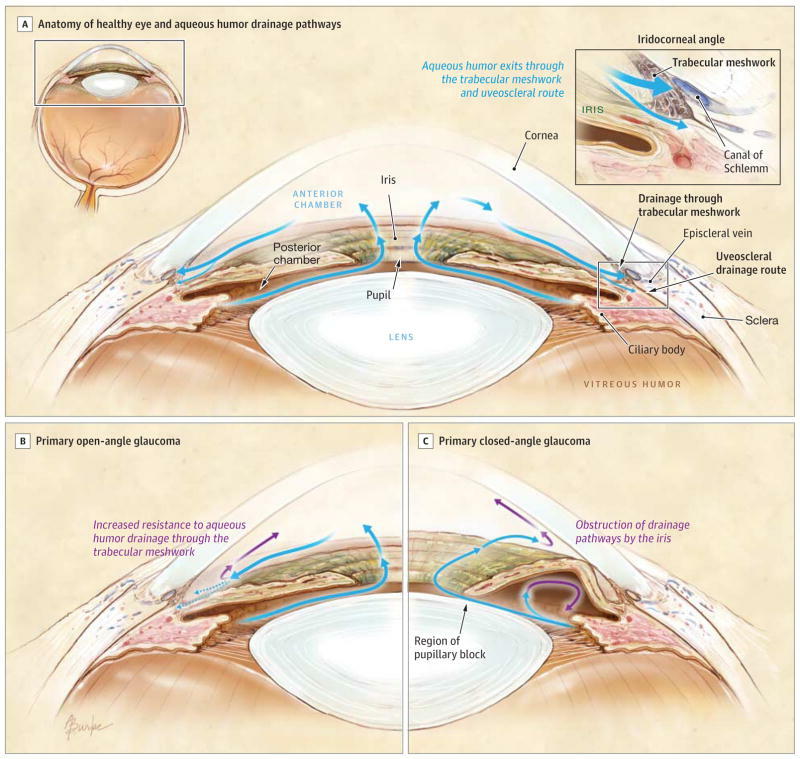 Glaucoma symptoms – due to leaky vessels. Visual acuity deficit – Variable degree. Treatment traditionally laser for neovascularization complications, although newer treatments are emerging. Anatomy: First branch of the internal carotid artery is the ophthalmic artery which splits into the posterior ciliary and central retinal arteries which supply the eye. Cardioembolic sources also important cause. May have some temporal sparing. No clinical trials have demonstrated improvement with any treatment compared with observation. Painless unilateral vision loss, may be all visual field or part of visual field.